When considering a seminary track to take, most popular by far is the Master of Divinity degree. Offering a comprehensive take on both theology and ministry, the MDiv is the go-to for most people in pursuit of vocational, full-time ministry. Most seminaries offer the MDiv as a residential (in-person, on-campus) program, and many offer a hybrid (partially online). There is, however, growing demand for fully-online MDiv programs, so The Seminary Student has brought you the comprehensive list. Editor’s note: we’ll be updating this as more come to our attention. Are you a total nerd, and want it in sortable spreadsheet form? We’ve got you covered. Do you work at a seminary with an online MDiv? We’d like to hear from you. Drop us a line and we’ll add or change your entry below. Here’s a list of each entry: click on any school to jump to that section and learn more. 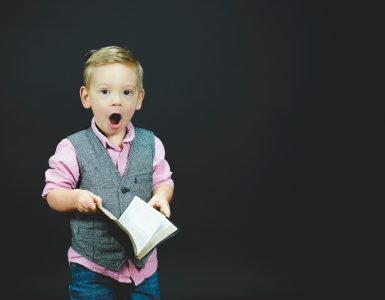 Not ready to choose a seminary? Let us notify you about new approved and accredited online Master of Divinity programs. Founded in 1906, Abilene Christian University enrolls more than 4,500 students through eight colleges, offering 70 baccalaureate majors, 27 master’s degrees and three doctoral degree programs. Affiliated with Church of Christ, Abilene Christian University is committed to energized, transformative learning. Designed to give students a strong foundation in history, scripture and theology as well as practical training in ministry skills, the Master of Divinity program emphasizes learning in context with case studies and ministry scenarios. Offered through the Graduate School of Theology, the 72-credit-hour program consists of a combination of online and residential classes, which may be week-long intensives, two-weekend courses or full-semester courses for those within driving distance. A faculty of Christian scholars teaches the online programs, which feature six- or seven-week terms. Students can tailor the Master of Divinity program to their goals and interests with a concentration in ministry or missions. Students can complete an optional thesis. Founded in 1967, Amridge University enrolls nearly 600 students in undergraduate, graduate and doctoral degrees through four colleges and schools, including those in business, human services and theology. Amridge University features distance learning as the primary delivery system for its programs. Amridge University offers two online Master of Divinity options – a 78-credit Master of Divinity program and a 90-credit Master of Divinity in Ministerial Leadership. The Master of Divinity program, which is biblical in orientation with a focus on historical and theological studies, prepares graduates for careers as effective Christian ministers and church leaders. Students must complete a comprehensive exam. The professional-level Master of Divinity in Ministerial Leadership features extensive studies in biblical text and preparation in practical ministry and theology. Students who hold an undergraduate degree in religious studies receive 15 semester hours of Advanced Bible Placement, reducing the degree to 75 semester hours. Most students are able to complete all the requirements between four and four and a half years. Tuition is currently set at $498 per credit hour. 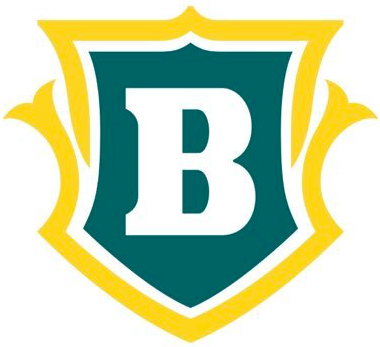 Bethesda University was founded in 1976 on Christian groundwork derived from Pentecostal Theology. A Christ-centered institution of higher education, Bethesda University offers bachelor’s degree programs in religion, music, business administration and early childhood education, master’s degrees in biblical studies, music, business administration and divinity, as well as a Doctor of Ministry degree and two certificate programs. Online students can complete its 96-hour Master of Divinity program in three years. With a focus on theological, biblical and practical training, the MDiv online program prepares graduates for effective missionary and pastoral ministry. Students who hold a bachelor’s degree in biblical/theological studies can receive up to 15 hours of advanced standing. Students complete a preaching practicum and supervised ministry. Founded in 1855, Chicago Theological Seminary (CTS) is one of several seminaries affiliated with the United Church of Christ and a member of the Association of Chicago Theological Schools consortium. 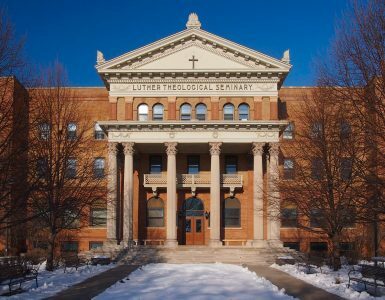 Among the oldest institutions of higher education in Chicago, CTS offers master’s degrees in Divinity, Religious Studies, Religious Leadership, and Sacred Theology as well as a Doctor of Ministry and a Doctor of Philosophy. The online Master of Divinity program features a rigorous and flexible curriculum taught by world-class faculty. The three-year program prepares graduates for religious leadership in society and the church. The curriculum emphasizes self awareness and the development of transferable leadership skills, while combining real-life application with critical reflection. Students can tailor the 75-credit online Master of Divinity program to their professional and personal goals with concentrations in Chaplaincy Studies, LGBTQ Studies, Study of Black Faith and Life, and Interreligious Engagement. Students complete Theological Field Education during their second or third year. A faith-centered university founded in 1932, Clarks Summit University enrolls 990 students, including about 180 in seminary programs. The Independent Baptist university offers undergraduate and graduate degrees in counseling, education and theology, among others, as well as a Doctor of Ministry and a Doctor of Philosophy in Biblical Studies. A professional ministry degree with a focus on a theologically firm and biblically rich education, Clark Summit University’s Master of Divinity online program prepares graduates for Christian leadership. The fully-online curriculum includes courses in Greek, theology, Hebrew, Bible and church leadership. Students also complete an 18-hour, year-long paid internship. 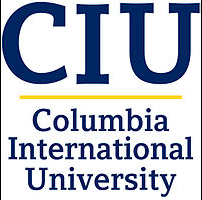 Founded in 1923, Columbia International University offers a number of undergraduate, graduate and seminary programs as well as professional certificates — all with an emphasis on Christian education and biblical studies. The university enrolls about 1,000 students through five colleges. The online Master of Divinity degree program helps students develop their own understanding of the Word through hands-on opportunities and high-level research. The 78-credit program prepares graduates for careers as a pastor, itinerant evangelist, Bible translator, and missionary, among others. The online MDiv program features the same rigorous curriculum as the university’s on-campus programs. The curriculum also features internships. Established in 1935 as a small Bible institute, Corban University has grown into a private, independent Christian university enrolling 1,200 students. A member of the Council for Christian Colleges and Universities, Corban University offers undergraduate programs in biblical studies, liberal arts and professional studies as well as graduate degrees in ministry, business, education, and counseling. Corban offers three start dates each year. Students can work at their own pace. Corban University allows students to try their first online seminary course for $99. Offered through the School of Ministry, the online Master’s in Divinity program provides students tools needed to interpret Scripture accurately within its geographical, historical, and cultural background and apply it to their ministry’s context, cultural demands, and location. Online students complete the Church Ministry track, which provides a deeper look into aspects of ministry. Students receive the knowledge needed to pursue a Doctor of Ministry degree. The online MDiv degree prepares students to understand and interpret the Bible; explain, defend and apply Christian theology; and communicate Scripture accurately and clearly. Corban University offers advanced standing status to students who hold upper division credits in theology, Bible or ministry. Crown College, a private Christian college founded in 1916, enrolls about 1,300 students. 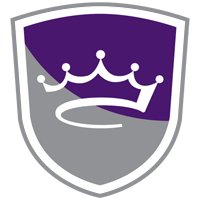 Affiliated with the Christian and Missionary Alliance, Crown College offers more than 40 majors at the undergraduate and graduate levels, including Christian ministries, criminal justice, and business. Designed for adult learners, Crown College offers a fully online Master’s in Divinity degree, which helps students develop ministry leadership skills, and theological and biblical understanding. The program prepares graduates for careers as executive pastors, senior pastors, pastoral counselors, missionaries, chaplains, and more. Online courses follow a seven-week format. Students can transfer up to 48 credit hours to the program. Students take part in a summative experience, which includes practical ministry and mentoring. Established in 1950, Denver Seminary, based in Colorado, has extension campuses in West Texas and Washington, D.C. Known for its emphasis on mentoring and training, Denver Seminary offers programs at the master and doctoral levels in divinity, ministry, theology, and more. The institution enrolls about 900 students. Designed for pastors, chaplains, missionaries, church planters and planning to pursue doctoral-level studies, the 78-hour online MDiv program features rigorous instruction by world-class faculty. Students can tailor their degree through choosing from one of 15 concentrations, such as Intercultural Ministry, Apologetics and Ethics, and Pastoral Care and Counseling. Students can complete the online MDiv program in three years with courses in the fall, spring and summer semesters. Faith International University, founded in 1969, enrolls about 400 students. An interdenominational university, Faith International University offers a number of undergraduate, graduate and doctoral degree programs. The University received accreditation from the Transnational Association of Christian Colleges and Schools. The University designed the 136-hour online Master of Divinity program for individuals seeking careers as chaplain, pastor, missionary or another type of full-time Christian minister. The university recommends students planning to enter the Doctor of Ministry program also complete a four-hour master’s thesis. Freed-Hardeman University, founded in 1869, enrolls about 1,900 students. Affiliated with the Church of Christ, this private Christian university houses six colleges offering a number of bachelor’s and master’s degrees as well as Education Specialist and Doctor of Education degrees. Through Freed-Hardeman University’s Graduate School of Theology, students can pursue an online Master of Divinity degree. Designed for students seeking advanced study in religion and the Bible, the 87-hour program includes coursework as well as hands-on experience in a local church. Students can tailor their degree to their career goals and personal interests with one of seven areas of interest, such as Old Testament, Apologetics, Ministry, or Church History. *Note, the tuition rate includes all fees. Founded in 1947, Fuller Theological Seminary is a multidenominational graduate-level institution consisting of three academic units: the School of Psychology, the School of Theology, and the School of Intercultural Studies. Fuller Theological Seminary enrolls about 2,400 students and has regional campuses in California, Colorado, Texas, Arizona, and Washington State. Offered through the School of Theology, the fully online Master of Divinity degree program prepares students for theologically informed, agile leadership in a host of settings, including church ministry, nonprofit organizations, business, or more. The challenging curriculum integrates discipleship practices and practical applications. Students can complete the 120-quarter-unit program in 2 ½ years of full-time study. Students complete a nine-month apprenticeship in a marketplace, mission or nonprofit organization, or a church. Students spend 62 hours in vocation and formation groups led by trained mentors. Fuller Theological Seminary enables students to customize their MDiv online degree with areas of study in Worship, Theology and the Arts; Islamic Studies; Christian Ethics, and more. The majority of students will take three years to complete the online MDiv program offered at Gateway Seminary. During those three years students will take a total of 90 credits through the Schools of Theology, Christian Leadership, and Global Missions. There are 13 concentrations available, however only the Biblical Studies and Youth Ministry concentrations are offered online. All concentrations require a minimum of 10 hours of specialized study which can be done through the use of free electives. *Note that Southern Baptist students receive the rate of $265/hour, and non-Southern Baptist students pay $495/hour. The Christian university offers a number of undergraduate, graduate and doctoral degree programs in a range of program areas through eight colleges. The university enrolls a total of 75,000 students, including more than 60,000 in online programs. 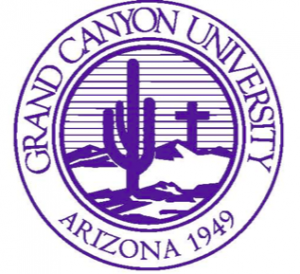 With a Christian worldview, Grand Canyon University prepares graduates to be global citizens with empathy and an appreciation of differing perspectives on religion, history and value systems. Offered by the College of Theology, the 82-credit Master of Divinity online degree features a pastorally oriented curriculum focused on the significance of the church, gospel and kingdom of God. The degree program prepares graduates to lead ministry in local churches or Christian organizations as well as to pursue ordination for professional ministry. With eight-week terms and the availability to transfer up to 12 credits, Grand Canyon University provides online students with the ability to earn their degree on their schedule. Founded in 1968, Heritage Christian University focuses on evangelism and a commitment to scripture. The university enrolls about 80 students and offers undergraduate and graduate programs in biblical studies, ministry and divinity, among others – both on-campus and online. Heritage Christian University’s rigorous Master of Divinity program’s curriculum trains students to have a global focus and serve as highly skilled ministers who can address the needs of their specific Christian community. The 75-hour program consists of four divisions: Our Religious Heritage, Contextualizing our Religious Heritage, the Spiritual Formation of a Leader, and Praxis in our Religious Heritage. Within the guiding framework there is a good amount of flexibility and customization available. Students can complete most courses online, but they should plan to visit campus for the Introduction to Graduate Studies Week and for graduation. Students also take comprehensive final exams on campus, unless other arrangements are made. HCU does recommend that distance students plan to be on campus at least two or three times during their MDiv studies: for Introduction to Graduate Studies Week, for graduation exercises, and for comprehensive final exams. Students can appeal to the Graduate Committee for exceptions and other arrangements. Indiana Wesleyan University, an evangelical Christian comprehensive university of The Wesleyan Church founded in 1920, is committed to professional and liberal arts education. The University enrolls about 13,000 students, including about 10,000 online. Indiana Wesleyan offers a range of undergraduate, graduate and doctoral degrees through six colleges and schools, including the School of Nursing, the College of Arts and Sciences, and Wesley Seminary. Through Wesley Seminary, students can pursue an online Master’s in Divinity degree. The 75-hour degree program consists of six six-hour “praxis” courses in mission, worship, leadership, proclamation, congregational relationships, and congregational spiritual formation. Students also spend at least 10 hours each week with a local ministry or church. Please note: students can complete most of the MDiv program online, but they must earn at least 24 credit hours in intensive on-campus courses. Students attend a yearly convocation and two intensive courses each August. The school offers four “foundational” courses as one-week on-campus intensives. Indiana Wesleyan University accepts up to 27 hours of transfer credit toward the MDiv degree. Indiana Wesleyan University allows students to tailor their degree with one of six specializations, including Church Planting and Multiplication, Church Revitalization, Leadership, and Pastoral Ministry, among others. *Note, Wesleyan pastors will pay $277/hour, other pastors will pay $377/hour, and laity will pay $477/hour. Founded in 1997, the King’s University prepares effective leaders and Christ-like servants through more than a dozen undergraduate and graduate degree programs as well as a Doctor of Ministry program. The Spirit-filled, evangelical university enrolls about 700 students. 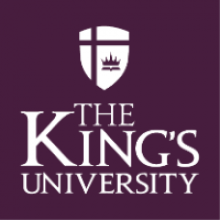 The King’s University’s Master of Divinity online degree integrates theological and biblical knowledge with experience-based learning. The curriculum helps students develop as Spirit-formed, well-rounded, servant leaders prepared for full-time vocational ministry or further studies in divinity. The fully online program features courses that follow an accelerated seven-week format. All students must attend an introductory workshop on Biblical Interpretation, Old Testament and New Testament unless they score a 75 percent or higher on the Graduate Bible Assessment. Students complete a ministry practicum and a capstone project. MDiv students can customize their degree through electives. The King’s University awards credit for life experience. Their Master of Divinity program has an available concentration of Messianic Jewish studies. Lexington Theological Seminary was founded in 1865 as an ecumenical seminary of the Christian Church (Disciples of Christ). A graduate institution, Lexington Seminary offers Master’s degrees in divinity, theological studies and pastoral studies, a Doctor of Ministry degree and certificates. The seminary enrolls about 75 students. Designed to prepare women and men for Christian ministry, especially congregational ministry, the Master of Divinity online program provides a foundation for theological reflection and relating leadership to that of the church in other places and times. Students gain knowledge and skills in interpreting the Scripture for the Church and leading the Church in worship as well as to integrate the intellectual, spiritual and practical aspects of ministry. Students can complete most of the 76-hour M.Div. program online, but the program does include 10-day on-campus intensive sessions. With two-, four-, and eight-week courses, students have flexibility to complete the program on their schedule. Students complete a capstone project and take part in four Covenant Groups, facilitated by clergy and faculty and they explore issues of ministry. Liberty University, founded in 1971, is among the largest Christian universities in the world with more than 110,000 students enrolled, including 100,000 online. The private, non-profit university offers more than 550 programs of study leading to undergraduate, graduate and doctoral degrees. Through Liberty University’s Rawlings School of Divinity, students can pursue a fully online Master of Divinity degree. With eight start dates each year and eight-week courses, Liberty’s program provides students with flexibility. Students can attend optional on-campus intensives. Designed to prepare graduates for professional Christian ministry in local church and para-church organizations, the Master of Divinity curriculum provides students with well-rounded, in-depth study in theology, Biblical studies, and church history as well as practical ministry skills. Students receive a solid foundation in Old and New Testament studies, ministry writing and research, Evangelism, Apologetics, and Discipleship Ministries. With nearly two dozen specializations, students can tailor the degree to meet their professional and personal goals and interests. Depending on the chosen specialization, the degree program is 75 to 93 total credits. Liberty University awards credit for previous ministry experience and extensive personal study and students can transfer a maximum of 50 percent of the program hours. Midwestern Baptist Theological Seminary (MBTS), founded in 1957, houses a seminary and undergraduate college. A member of the Southern Baptist Convention, MBTS is among the largest seminaries in the world with more than 3,000 students enrolled. Through its rigorous OnlineYou program, students can further their theological education and earn a Master of Divinity online degree without leaving their current ministry setting. Designed by scholars in the field, OnlineYou provides students with skills needed for lifelong Biblical learning and application. Students at Midwestern Baptist Theological Seminary can pursue the MDiv Standard, which allows them to increase their theological and Bible knowledge, formulate theological beliefs based on historical and biblical perspectives, and progress in the practice of classical spiritual disciplines. Midwestern Baptist Theological Seminary features eight-week terms and seven terms each year. The Standard Master of Divinity program includes 72 hours of core courses, such as those in Elementary Greek, Church Administration, Baptist History, and Theology, among others. The program also requires a capstone course and practicum. Students also complete nine hours of elective credits. *Note Southern Baptist online students pay $350/hour, and all online other students pay $385/hour. Founded in 1886, Moody Bible Institute offers more than a dozen programs leading to undergraduate and graduate degrees and certificates. The school enrolls about 3,500 students. Offered through the Moody Theological Seminary and Moody Bible Institute Distance Learning, students can earn an online Master of Divinity degree. The program helps students develop their advanced preaching skills and biblical expertise. The 90-credit Master of Divinity online degree includes the study of Hebrew, Bible analysis, Greek, pastoral practices, narrative preaching, church history, and more. Students apply their knowledge to real-world experiences through two internships. Online students can tailor their degree with an emphasis in Pastoral Studies. Most of Moody Bible Institute’s online courses follow an eight-week format; however, the school also offers self-paced courses that combine the convenience of an online format with a 16-week time period. The Master of Divinity program is accredited by the Commission on Accrediting of the Association of Theological Schools. Tuition for online graduate students is currently set at $240 per credit hour. Northwest Nazarene University (NNU), a comprehensive, Christian university established in 1913, offers more than 60 areas of study leading to a host of bachelor’s degrees as well as 18 master’s degrees and two doctoral degrees. Affiliated with the Church of the Nazarene, the university enrolls more than 2,000 undergraduate and graduate students and 6,000 continuing education students. Housed in the College of Adult and Graduate Studies, NNU Online offers an online Master of Divinity degree. Taught by experienced faculty, the degree program features a fully online curriculum. Students can choose from three specializations: Missional Leadership, Spiritual Formation, and Youth, Children and Family Ministry. The 74-semester-hour MDiv online program features studies in philosophy, church history, Bible, and theology. Students also complete an online orientation. Depending on the chosen specialization, the curriculum also may complete a practical ministry experience. *Note, Church of the Nazarene students will pay $383, and other online students will pay $510. Founded in 1945, Piedmont International University is known as a leader of Bible-centered higher education. A member of the American Association of Christian College and Seminaries, Piedmont offers dozens of degree programs ranging from associate’s to doctoral degrees as well as certificates. Piedmont enrolls about 740 students, though online class sizes are kept to about 15, for the sake of healthy student/faculty engagement. Through its School of Ministry and its Spurgeon Online School, Piedmont offers a fully online MDiv degree. Students can choose from a language and a non-language master’s degree program. With seven-week sessions and six enrollment dates each year, Piedmont provides students with flexibility to earn their degree on their schedule. The Master in Divinity programs prepare graduates to serve as leaders or pastors in Christian ministries, including the chaplaincy. The programs provide students with a solid foundation in the work of the ministry and a well-rounded and balanced theological and biblical perspective. The 72-hour online Master in Divinity programs – both language and non-language – include courses in Theology, Dispensationalism, Apologetics, and Evangelism, among others. The Master in Divinity language program also includes courses in Hebrew and Greek, while the non-language program includes courses in Introduction to Hermeneutics, Introduction to Old Testament, Introduction to New Testament, and Old Testament Word Studies. Piedmont also offers an online, five-year accelerated program that combines the Bachelor of Arts in Biblical Studies and the Master of Divinity degrees. Established in 1947, Portland Seminary of George Fox University is a Christ-centered, broadly evangelical institution with roots in the Friends and Wesleyan traditions. Portland Seminary, which operates as a university-based graduate school, enrolls about 300 students in master’s and doctoral programs. Portland Seminary is known for its pursuit of a holistic Evangelicalism that brings together justice and compassion, faithfulness and innovation, practice and reflection. The Master of Divinity online degree program consists of a flexible, cohort-based curriculum that follows a 15-week semester format. The program provides students with a strong foundation in theology, biblical studies, and pastoral ministry as well as spiritual formation coursework. The program prepares graduates for careers as pastors, chaplains, church planters, and leaders of non-profit organizations, and for doctoral-level study. Portland Seminary offers summer courses with face-to-face intensives. Students can tailor their degree with specializations in Biblical Studies, Leadership, Christian History and Theology, Spiritual Direction and Supervision, Intercultural Studies, and more. Founded in 1978, Regent University enrolls more than 10,000 students in 129 undergraduate and graduate fields of study. A leading academic center for Christian thought and action, Regent University’s programs are taught from a Christian Renewal perspective. Regent University’s online Master of Divinity program prepares graduates for careers as Christian educators, ministerial executive leaders and global missionaries, among others. The 72-credit curriculum provides students with a strong foundation in theological and biblical studies. Students also gain real-world experiences through an internship. Regent University enables students to tailor the MDiv online program to their personal and professional goals and interests with six concentrations, such as interdisciplinary Studies, Church and Ministry, Worship and Media, and Chaplain Ministry. Rockbridge Seminary was founded in 2002 as a fully online institution offering ministry-focused education worldwide. Rockbridge enrolls about 170 students through four academic programs – Diploma in Ministry Studies, Master of Ministry Leadership, Master of Divinity, and Doctor of Ministry. Designed for professionals seeking careers as ordained pastor, chaplain or career missionary, the Master of Divinity online degree program is open to those currently serving in a local ministry role. The online program enables students to study and practice while maintaining their ministry and students complete most projects within the context of their church ministry role. The 76-hour Master of Divinity program focuses on Biblical studies, theology, church history, pastoral care, preaching/teaching, and counseling. Courses follow an eight-week format. 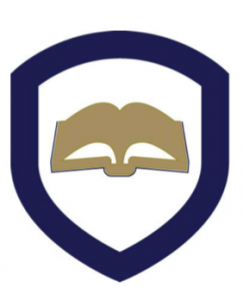 Shiloh University, founded in 2006, offers fully online theological, Ministry, Liberal Arts, and Biblical programs. The University aims to provide students quality Christian education that challenges them, while allowing them to remain active in their communities. Shiloh University offers three 15-week terms each year. The 74-unit Master of Divinity online degree provides students with theological and professional graduate training. Designed to prepare graduates for the application, ministering and continued study of God’s Word, the curriculum focuses on the biblical basis for ministry practices. Students can tailor their degree program through electives in languages, biblical studies, or ministerial studies. During their first two years, students must complete 400 hours of ministry experience, 300 hours of supervised ministry and 100 hours of close mentoring. Those seeking a career in chaplaincy can combine their Master of Divinity program with their Clinical Pastoral Education to streamline their career preparation. Established in 1985, South Florida Bible College and Theological Seminary, a non-denominational institution, enrolls about 600 students. The institution offers an associate’s degree in Biblical studies, a handful of bachelor’s degree programs, and master’s degrees in Biblical Studies, Divinity, and Pastoral Counseling. The institution awards undergraduate degrees through the South Florida Bible College and graduate degrees through the South Florida Theological Seminary. South Florida Theological Seminary offers credit for life experience, enabling students to earn their degree faster. The 90-credit Master of Divinity online degree integrates theological/historical studies, biblical literature, and the practices of ministry. The program prepares graduates for effective ministry as church associates, pastors, chaplains, evangelists, and more. The institution has a program requisite of one year of beginning Greek. If a student has not completed the course, the institution adds the course to their Master of Divinity program requirements. Students also complete a thesis/practical project. Students can tailor their degree with specializations in Ministry, Chaplaincy, or New Testament Exegesis and Theology. Christian Ministry is highly encouraged for online students as it offers the most flexibility. A minimum of 82 credits must be completed for graduation consisting of 70 core credits and at least 12 electives. The majority of students will take three to four years to complete all requirements. An advanced online MDiv degree is offered for students with extensive prior study. This program requires a total of 61 credit hours and typically takes three years to complete. *Note military and Southern Baptist students pay $290/credit hour. Southern Baptist Theological Seminary (SBTS), founded in 1859, is the oldest of the seminaries affiliated with the Southern Baptist Convention. Among the largest theological seminaries in the world, SBTS enrolls more than 3,300 students. With six eight-week terms and fully online programs, Southern Baptist Theological Seminary’s Online Learning programs provide students with flexibility. The world-renowned evangelical scholars who teach the on-campus programs also teach the online programs. SBTS provides students with a highly relational, high-tech online learning experience. Designed for individuals planning to serve as chaplains, pastors, evangelists, Christian educators, and missionaries, among others, the online MDiv program provides students with comprehensive knowledge of theological and biblical studies as well as allows them to develop skills needed for effective ministry. Internet-only students must live at least 50 miles outside of Louisville, KY. The seminary also offers hybrid courses. The 88-credit online MDiv degree program offered through Southern Baptist Theological Seminary’s School of Theology features core courses in Hebrew Syntax and Exegesis, Introduction to Church History, Biblical Hermeneutics, Christian Teaching, and Discipleship and Family Ministry. SBTS also offers Master of Divinity degrees through its Billy Graham School of Missions, Evangelism and Ministry; however, these programs have different goals and requirements. *Note, SBC students will pay $309/hour, and all other online students will pay $618/hour. Southern California Seminary, a private institution founded in 1946, is dedicated to teaching from the Word of God. The institution offers a variety of undergraduate, graduate and doctoral degree programs in theology and behavioral science topics. Southern California Seminary’s Master of Divinity online degree prepares graduates to serve in senior leadership positions in settings including youth ministry, social work, missions, evangelisms, pastorate, and more. The program helps students develop a missional mindset for ministry and an understanding of the foundational theological doctrines of the Christian faith. Students also complete an internship and capstone project. Students can tailor the program to their goals and interests with five specializations: Linguistics, Pastoral Counseling, New Testament Exegesis, Church Planting, and Biblical Exposition. Southwestern Assemblies of God University (SAGU), a private Christian seminary and university established in 1927, offers undergraduate, graduate and doctoral degrees through three colleges: the College of Bible of Church Ministries, the College of Music and Communication Arts, and the College of Business and Education. Endorsed by the Assemblies of God USA, the university enrolls about 2,000 students. SAGU offers an online MDiv degree, which helps students think critically about biblical and contemporary ethics and theology, learn and practice biblical interpretation, and interact within the diversity of religions and cultures. Students can choose a non-thesis or thesis option. Taught by Christian faculty members, the program prepares graduates for Christian ministry and post-graduate studies. SAGU allows applicants to earn up to 45 hours of credit for their life experience. SAGU’s Master of Divinity program features eight specializations, enabling students to tailor the degree to their goals and interests. *Note, SBC students pay $260/hour, and all other online students pay $480/hour. University of Northwestern, founded in 1902, is a private evangelical Christian college. The Christ-centered liberal arts university enrolls about 3,500 students and offers more than 75 areas of undergraduate study and six master’s degree programs. Offered through the College of Graduate, Online and Adult Learning, the University of Northwestern’s Master of Divinity online degree program combines biblically based evangelical theology and Christian ministry. The program meets ordination requirements for chaplain or pastor positions and also prepares students for further studies or ministry. Students develop strong communication, analytical and critical-thinking skills while advancing their knowledge of Scripture. Students gain real-world experience through an internship. Students who do not hold a bachelor’s degree can enroll in Northwestern’s accelerated B.A./M.Div. Dual Degree program. 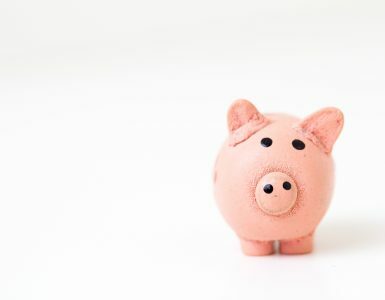 Tuition for online graduate students is currently set at $445 per credit hour. Can I Go to Seminary Without a Bachelor’s Degree?